A Collection Due Process Hearing, also known as a CDP hearing, may be your last best chance to resolve a tax controversy with the IRS short of tax litigation. Generally, the IRS must issue a Notice of Intent to Levy and Right to Request a Hearing before it sends a levy. If you file a request for a CDP hearing within 30 days of the date of its mailing, the IRS may not serve a levy until you have had a chance for a hearing. At that hearing, you may ask for an installment agreement, an Offer in Compromise, or any other collection alternative. You may also request to be treated as an innocent spouse and if you have not already had an opportunity to do so, dispute the amount of the tax liability. The Notice of Intent to Levy and Right to Request a Hearing is generally sent by certified or registered mail, return receipt requested, to a taxpayer's "last known address." As we explain in another one of our videos, if the notice is not sent to your last known address, it may be valid and therefore the IRS would be prohibited from levying on your bank accounts or other assets. You can find this video here. Instead of mailing the Notice of Intent to Levy and Right to Request a Hearing by certified or registered mail, the IRS can also deliver it in person or leave it at your home or your usual place of business. It is relatively, however, for the IRS not to use certified mail in order to serve the Notice of Intent to Levy and Right to Request a Hearing. Pick up your certified mail! When dealing with the Internal Revenue Service, ignorance is NOT bliss. The CDP Notice is required by law to provide certain information in "simple and non-technical terms." This is what the Notice looks like HERE. This version of the Notice of Intent to Levy and Right to Request a Hearing is set forth in IRS Form letter LT 1058. This letter is relatively straightforward in that the title quite clearly states that the Taxpayer has a right to request a hearing. The IRS also uses another notice to inform taxpayers of their statutory rights to request a Collection Due Process Hearing -- Form LT11. The IRS' automated collection service, known as ACS, generally uses the Form LT11 while IRS Revenue Officers use the Form LT 1058. Somewhere around 2015, the IRS changed the format of Form LT11. This new Form LT11 is very devious. It looks a lot like other notices that the IRS sends out which do not grant the right to a hearing. The right to a hearing is not mentioned in the bold-faced heading of the notice, nor for that matter, anywhere on the first page of the letter. It is only on page two of the notice and it is buried after notifications to pay immediately. It is very easy for taxpayers representing themselves to miss that language and even tax professionals who are using shortcuts may not notice the information. The tricky way the Internal Revenue Service has chosen to implement critical taxpayer rights granted by Congress underlines the importance of obtaining professional assistance. On the one hand, a highly detailed oriented taxpayer might be able to respond to the notice, but the trick is understanding the importance of responding and even realizing that responding in WRITING within a 30-day time period is imperative if this very important right is to be maintained. 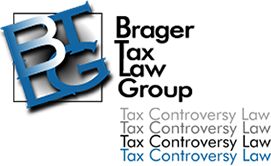 With the wide variety of information that is rained down on a taxpayer both orally and in writing, a trained tax controversy lawyer can deliver a great deal of value in sorting out your rights.